Health is very important for both man and woman. Safety plays a big role for us to stay fit and healthy. What do you use after you go the bathroom to do your thing? I use bathroom tissues to wipe after doing number one or number two. I feel I need more bathroom tissues especially after doing number two. I feel like I need more to keep my intimate parts fresher and clean. 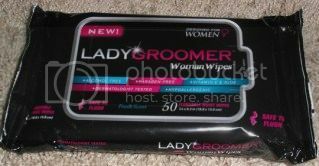 I am glad that I received a sample to try this lady groomer woman wipes. This is designed exclusively for women. What I love most about the wipes is? It is hypoallergenic. I have a very sensitive skin. This wipes are perfect for my skin. It is also flushable. I do not flush mine. I prefer it that way as I am not used to throw wipes in the toilet. It is also alcohol free which is wonderful. It has the vitamin E and Aloe which will help your intimate parts very soft. It comes with 50 wipes. It has a fresh scent which is perfect for me. I am allergic to perfume smell. You can carry the wipes too. It is perfect in your purse. When you need to refresh, you can sue it anytime and anywhere you want too. You can learn their Facebook update and follow them in Twitter here. 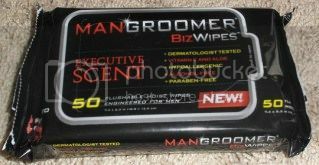 It also comes with a man groomer biz wipes for men. My husband can use it too. This is perfect to help him keep clean after doing his thing. The wipes have an executive scent which is perfect for any men. This wipe is perfect to use to after making out with your wife. It is perfect to keep your thing clean the most. It has the same features like the lady groomer. It is also alcohol free, hypoallergenic. It is also flushable. It has vitamins E and Aloe to keep your body parts clean and smooth. This is perfect for sensitive skin as it is dermatologist tested. It is also paraben free. So if you are looking for intimate wipes, these are perfect for you and your man. You can also check their updates through Facebook and follow them in Twitter. Everybody has no excuse to keep their body parts smooth and fresh. This entry was posted in Uncategorized on November 17, 2012 by simplyjess.